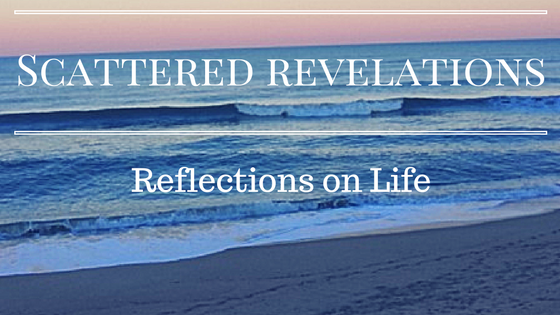 I preached this sermon on Sunday July 13, 2014 at the Unitarian Universalist Congregation of the Outer Banks. I have been doing a great deal of reading and reflecting on the topic of Freedom and Responsibility, the individual and the common good. Religion in the public square is a particular passion of mine and a focus along with ethics for my Masters of Theological Studies. Recent news events such as the Supreme Court decision in Hobby Lobby, the growing wealth and income inequality, the stalemate in our government and now children from Guatemala and El Salvador arriving at our borders, alone, scared and waiting in detention centers to be sent back home to poverty and violence bring these issues to the forefront. As I have been reflecting on these issues, I ask what is to be the response of our faith community, of Unitarian Universalism to the delicate balance of freedom and responsibility, the dignity of the individual and the interdependent web. Our reading this morning comes from the Ware Lecture that Dr. Robert Bellah Sociologist and Author delivered at General Assembly in 1998. Robert Bellah was a leader in the sociology of religion and his book Habits of the Heart that was required reading for any of us, like me, who studied the intersection of religion and culture. The Ware Lecture is an endowed lecture that takes place each year at General Assembly, our annual meeting of all the member congregations of the Unitarian Universalist Association. Each speaker is someone from outside of Unitarian Universalism who is asked to give us inspiration, challenge and reflection from outside our community. Robert Bellah in Habits of the Heart critiques the growing and expanding individualism in America culture at large and particularly in religion. In one particularly strong critique he describes an interview with a woman and her religious outlook as Sheilaism - the notion that each of us can be a religious authority unto ourselves. This may not be easy to hear in our context which prides itself on its commitment to the individual and the sanctity of individual belief. Yet our principles affirm that it is a "free and responsible search for truth and meaning." The important words in that principle are search - not a destination and that it is both free and responsible. Responsible to whom? Who will hold each of us accountable for our search for truth and meaning? One of the roles of the faith community is to provide not just a place of freedom for exploration, but accountability as well. How will we here at UUCOB hold each other responsible? What does that even mean? Bellah in this 1998 address addressed how Unitarian Universalism is part of the dissenting churches which are a majority in the landscape of religion here in America. It is not our history of theological dissension, which Bellah argues is true of the majority of Christian churches, which makes us unique rather it is the unique ways we have been active in social action and justice - our anti-racism, our commitment to LGBTQ equality, gender equality and economic justice. Bellah however issues us a challenge in this address. He points out that the majority of our principles have to do with the individual - individual rights is one way to say it and only a few of our principles deal with the responsibility to others and the broader world. Bellah argues for a flipping of our 7th principle - the interdependent web and our 1st principle - the inherent worth and dignity of each person. Unitarian Universalism grew up with America. While both Unitarianism and Universalism have deep roots going all the way back to the earliest days of Christianity and were certainly part of the Protestant Reformation in Europe, Unitarianism and Universalism have their own particularly American culture. Unitarianism emerged out of the congregational churches of New England which rejected the Puritan notion of the inherent depravity of human kind. What we took with us from the tradition is our covenantal faith - that we bind ourselves together in covenant within each individual faith community and within our association. We pledge our support and accountability. Unitarian Universalism grew up as America grew up. Our UU founders were men of the Enlightenment just like our Founding Fathers. Both embraced the use of reason and science, the importance of conscience and the sanctity of the individual. Just like America, Unitarian Universalism grew up with this inherent tension between the sanctity of the individual and the common good. Bellah in Habits of the Heart and his book Broken Covenant argues that the individualism in America carries with it a deep shadow side - which is that in stressing the individual over the common good - including in our religious community - individualism has run amuck creating a situation in which America has the weakest social safety net, we struggle with how much we should invest in our common good - like infrastructure, the environment, and in assuring that the most vulnerable are cared for. In Europe with its tradition of established religion, Bellah argues, has provided some balance to individualism leading to a much stronger social safety net, stronger environmental protections and investments in infrastructure like transportation systems, solar energy in Germany and social programs which assure a minimum standard of living. Yet here in America we are living in a time that is rapidly individualistic in a society that is growing more diverse by the day and within the context of globalization. Bellah in our reading today tells us "an economic individualism which, though it makes no distinctions between persons except monetary ones, ultimately knows nothing of the sacredness of the individual." I think it would sadden and outrage Bellah but not surprise him that this notion of economic individualism has now extended the rights of speech and religion to corporations. The Supreme Court decisions in Citizens United and now Hobby Lobby have affirmed that corporations can have both free speech and religious liberty. For today I want to focus on the Hobby Lobby decision. The Hobby Lobby decision to allow the religious beliefs of its owners to trump the religious liberties of the people who work for Hobby Lobby and the law of the United States. Inherent in our freedom of religion is a tension between how faith communities should be afforded the freedom to organize and govern themselves and how they operate in the public square. In Hobby Lobby the owners argued that in being required to offer forms of contraception that they believe cause abortions - regardless of the facts - is an affront to their religious liberty and freedom - an undue burden. The Supreme Court said yes and despite all the claims in the decision that this is limited to contraception it does not take a constitutional law expert to see the next wave of lawsuits seeking exemption from all sorts of things including those related to LGBTQ equality. Imagine for a moment the impact if all religious organizations had been exempted from the anti-discrimination laws? What would that have done for the Civil Rights Movement? What would our world look like if religious organizations could have opted out? LGBTQ and Civil Rights groups have already withdrawn their support for the current version of the Employment Non-Discrimination act which has numerous exemptions for religious institutions. Our government is basically giving a free ticket to religious institutions to discriminate. Suddenly religious liberty is not just afforded to individuals to be free to worship or not as they choose - but a right of corporations. This all comes down to this inherent tension between the individual freedom and collective responsibility. In each of these examples - our growing gap between the rich and poor, the crisis at our borders with children alone being held in detention centers with people shouting at the buses - go home! Where is our compassion? Where is our empathy? Do we ever stop to ask what would it take a parent to send their young child alone across numerous borders? How bad must it be to do that? Ironically in our individualism we actually diminish the sacredness of the individual through greed and a lack of attention to our common good - our collective responsibility to one another. In a world that is getting smaller, and a global economy, it is not enough anymore to say we just take care of our own. For the actions here affect people all around the world. Our hands are not clean and we have to examine how policies and actions here in the United States are contributing to conditions that have parents sending their children, alone, to this country with the hope of a better life. We need to look at how our actions that privilege certain individuals diminish the well being of the whole, of us all. What does our Unitarian Universalist faith have to tell us about this? How do we respond? Now first I am not here to propose policies or say that there is only one right answer. The question for me is how do we as Unitarian Universalists offer a response to the individualism that is tearing the country quite literally apart. We have a culture right now in which Joe the Plumber can get national press and say "I am sorry your kid is dead but that doesn't trump my constitutional right to bear arms." That right there captures the idea that the individual trumps all notion of the common good - all notion that we have to be in this together. We UU's have at times seen the ugly side of individualism within our congregations. We have seen individuals within congregations behave in ways that are destructive to the whole of the community. I know at times this community of UUCOB has struggled to care for the health of the whole while caring for the individual. Here you have had to learn the importance of covenant. You have learned the importance of setting limits and boundaries - of saying if you are to be here among us then this behavior, this speech cannot take place here. In this year of search, it is not about the search for the perfect person for an individual or even a group of like-minded individuals rather it is a search for the person who can serve the whole - can serve what is needed for the common good of the community. 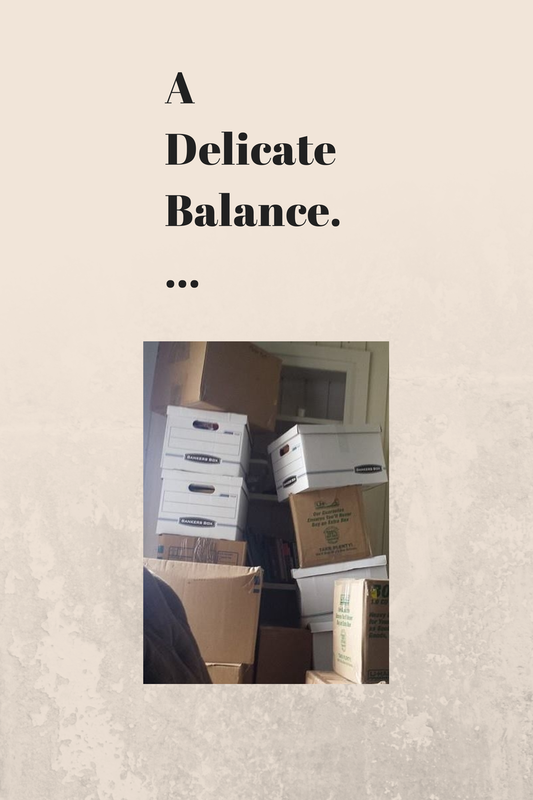 A delicate balance must be struck. Just like in our story of the ant and the grasshopper. Too often in America the grasshopper is left out in the cold - like the ant many believe well you didn't prepare for winter and now you are experiencing the consequences. Yet the common good, calls us to welcome in the grasshopper, to feed the grasshopper and it is then we see the unique contribution of the grasshopper - so that even the busy, hardworking ant had to agree that the winter passed more agreeably with the music of the grasshopper. True freedom must come with responsibility. It is not enough to affirm the individual without acknowledging that we are all connected. What happens and affects one of us, affects us all. A balance must be found between my individual religious belief and conscience and the common good - how I embody that in the public square. Now more than ever we need a stronger sense of the common good. We have to stop talking about our safety net as "entitlement" programs and see them as ways we balance our freedom with responsibility. To put it another way from the preamble of our Constitution - "promote the general welfare and establish justice and ensure domestic tranquility for ourselves and posterity." As Unitarian Universalists we can model this. We can bring a message that the individual is important, sacred, filled with worth and dignity and that none of us does this on our own. We can practice accountability. We can practice engaging in a search for truth and meaning that is both free and responsible - that we hold one another accountable. In a world in which corporations have been given rights previously held only to individuals, in which children are arriving alone, scared, hungry at our borders fleeing violence, and a growing number of people are simply not able to support themselves economically - we have to find to begin prioritizing the common good. It is not enough to affirm the rights of the individual - we must find a way to care for one another and realize that supporting the common good actually supports the well being of each individual. As Unitarian Universalists, who have grown up with America, we can help show the way. We can show that we can respect and honor the web, promote the common good and still affirm the dignity and worth of the individual. We can say with conviction "you don't have to do this alone."